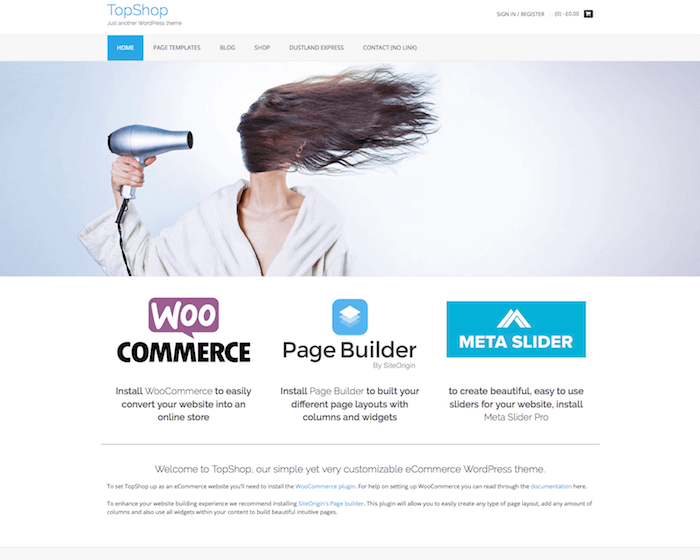 TheShop is a responsive eCommerce WordPress theme provided by aThemes, which allows you to integrate your eCommerce website with the popular WooCommerce plugin. The professional and elegant design allows your website visitors to browse your products comfortably, and give them the assurance that your website is a reputable eCommerce website that they can trust. The easy navigation gives your readers the comfort to quickly find the products that they are looking for, as well as create a good website structure for your online store. While the overall design of the website is made to look elegant and professional, the navigation menu provided in this theme is something special. The navigation menu is designed to stand out from the rest of the website, giving your website visitors a sense of direction when they visit your website for the first time. It makes it very easy for your website visitors to browse for the products that they are looking for. The navigation menu is placed on the top left part of your website, and you can put the links to various product categories in this menu. 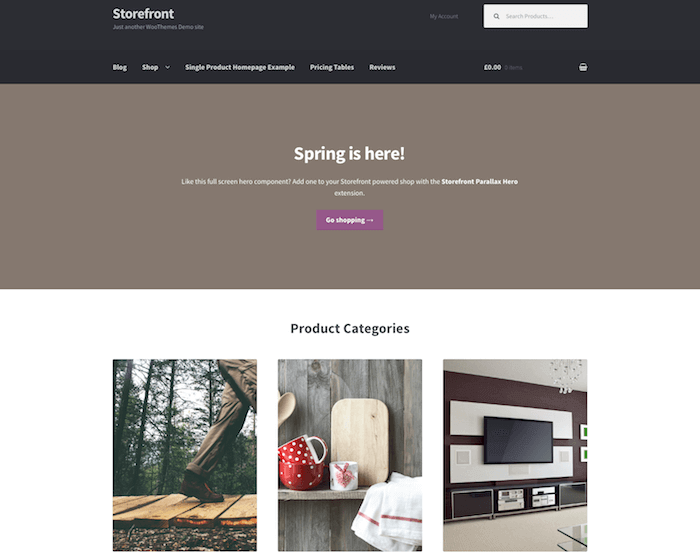 The latest products section available on this theme allows your website visitors to discover the latest products that have been added to your online store. Not only that, they can also put some of your new products along with the Add to Cart button, which allows your visitors to purchase any product right from the home page. 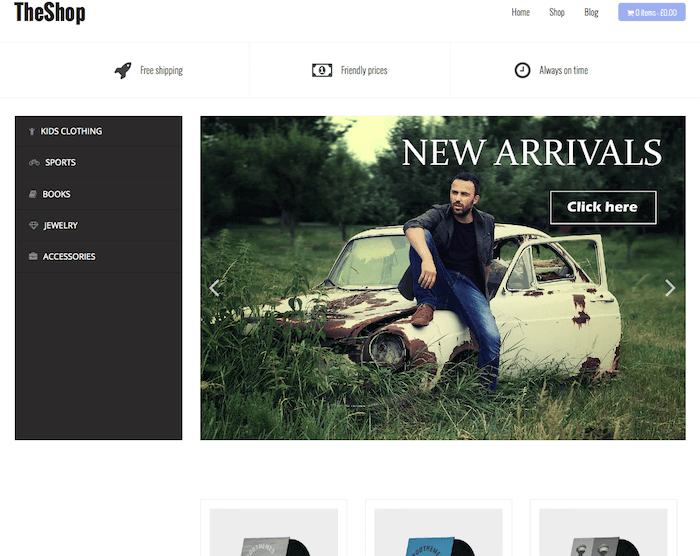 The latest products section is provided with image carousel, allowing you to rotate the latest products automatically and display 3 different products at the same time. Your website visitors can see the product image, product name, product rating, and product price in this section. Want to catch the attention of your potential customers immediately? This theme allows you to add the featured slider on the right side of the navigation menu, which can definitely help you to attract more interest from your website visitors. In the featured slider area, you can put high resolution images that help to promote certain aspects of your online store, such as new product arrivals, discounts and deals, new added categories, season-related special offers, and so on.